Stories from scratch. Modern video distribution for local communities. Thank you for your interest. A member of the Rapid Replay team will be in touch shortly. Rapid Replay is a video content engine for local athletes, teams, and community groups to be featured across the media outlets they know and love. Control your publicity. Film or upload highlights with the Rapid Replay app and you’ll be published in the news. You can also publish them on social media or your team website. 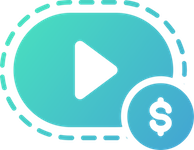 Get paid to publish video. Embed Rapid Replay video players and start generating advertising revenue. Sell the ads yourself or use our programmatic ad exchange. 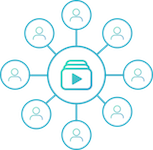 Speak to your community throughout Rapid Replay videos. Submit watermarks, existing creative, or create a templated video ad in under 10 minutes with our app. Thank you! We’ll reach out to chat shortly. We get your videos where they need to go, so you don’t have to. Take publicity into your own hands. Film or upload to the Rapid Replay app to make sure you or your team is covered across all of your favorite news outlets. Generate more revenue with the same headcount. Rapid Replay ensures your articles are profitable from the jump and meet your strict quality standards. A uniquely targeted opportunity. Rapid Replay videos engage a hyper-local, emotional audience. Thank you! We’ll reach out shortly to chat. Take a look at some of our favorite stories created with Rapid Replay. We regularly feature our customers’ content across our social media handles. Come along for the ride! Schedule a demo or learn more today! We’d love to learn about your environment and talk through how Rapid Replay’s end-to-end video tools can turn your web properties into engaging content destinations!